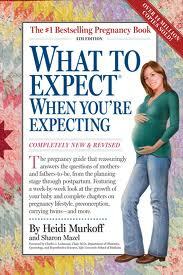 We all get at least one or two pregnancy books with our first pregnancy. If someone doesn't give us five or six of theirs, we are bound to go out and buy a couple. I want to make sure you are buying the right one and not spending a lot of money on something of way less value. The doctor's office will usually give you a book that covers (possibly in less detail) just about everything you will find in the everyday pregnancy book. You want one that will tell you EVERYTHING, just in case you need to know! Most of us have probably heard of this book. Some of you have been told its a good pregnancy book, but you have not bothered to look it up or obtain it. And if you have not heard of it, I will tell you about it here. Its called What to Expect When You're Expecting. 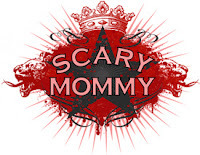 Its the single best book to have while pregnant, especially for first time moms who aren't sure if ANY of the changes going on with them are normal or not. Its very reassuring an well written without glossing over the real problems that can occur. Also, it does NOT just go through and group first second and third trimester together as many books do. It goes through, in-depth, each month, and also goes on to describe and explain MANY other things, even so far as after baby is born, issues you might be wondering about or worried about with your newborn. It has a labor and delivery chapter I was especially dependent on, as that was by far my biggest anxiety problem in my first pregnancy, not knowing what all was going to happen, and if it was really going to be so awful (no it wasn't so awful, even with complications).